Welcome to Western Canada. Simply one of the best places in North America to explore the great outdoors and nature's wonders. 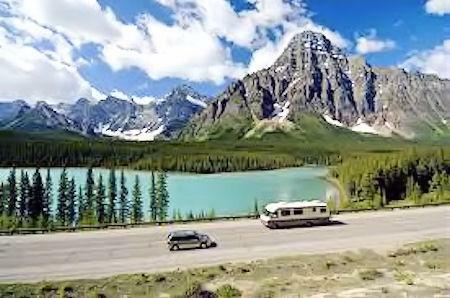 This sample Alberta and British Columbia motorhome tour takes you into the very heart of the Canadian Rockies. 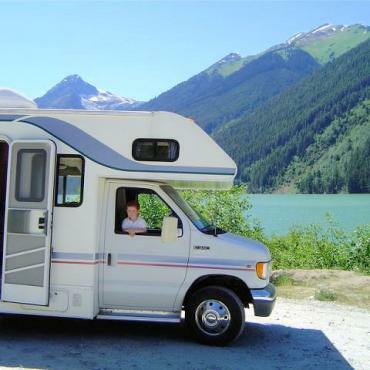 From the comfort of your RV, you'll view the splendour of the snow-capped Rocky Mountains, jaw-dropping turquoise lakes and breathtaking scenic drives. Arrive in Calgary. 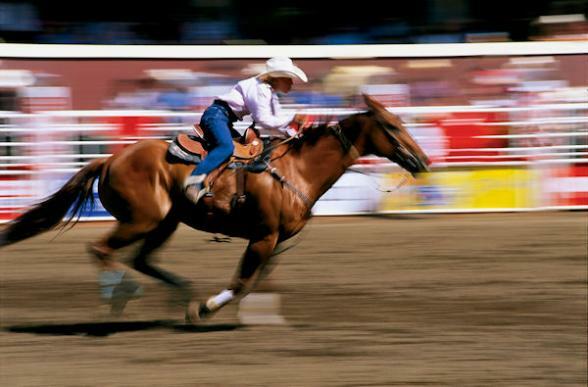 Dine in the lively downtown area and stock up on western gear and cowboy boots for your adventure ahead. 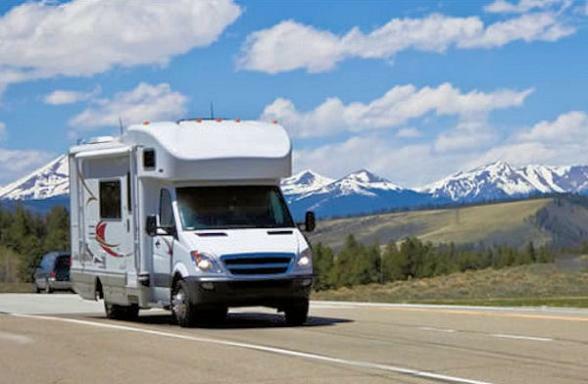 You will be collected from your hotel and transfered to the Calgary motorhome depot for a full familiarisation tour of your vehicle, this normally lasts one hour. Once you are ready to hit the road it's just a short and very scenic drive into the heart of Alberta's famous Badlands and the town of Drumheller. Be sure to visit the Royal Tyrrell Museum which is dedicated to the study of Drumheller's early resident, the dinosaurs. 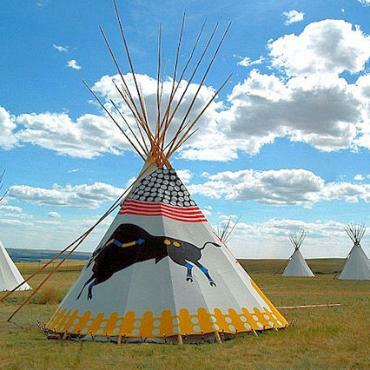 Today, it's off to a fascinating UNESCO World Heritage site at Head-Smashed-in Buffalo Jump. 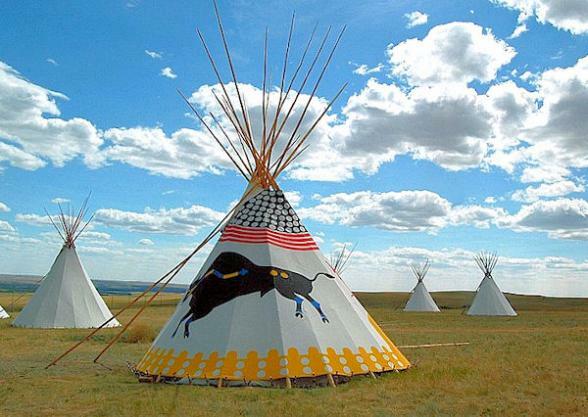 At the interpretative centre here you'll learn about the history and culture of the plains people. 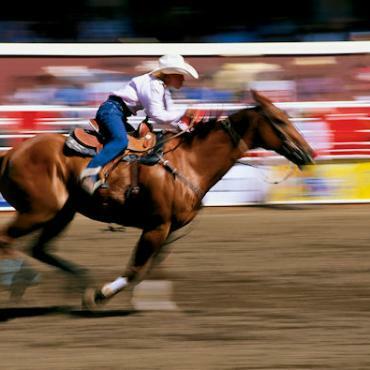 Visit the Museum at Fort Macleod and enjoy watching the red coated mounted police perform a musical ride. There are plenty of activities at Daisymay campground, as well as a heated pool, so take some time to unwind and enjoy your surroundings. There are two options today. 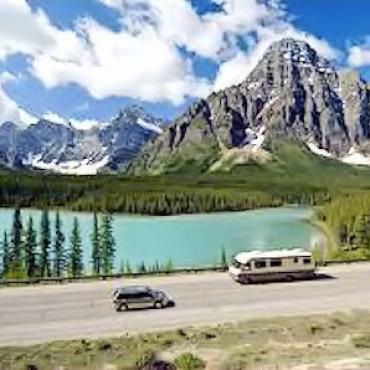 Take the most direct route to Banff which is 182 miles, however, we suggest a longer route (320 miles) which will take you along scenic Highway 93. On this elevated route you'll enjoy spectacular views over Crow's Nest Pass. Stop off at quaint ski-towns such as Fernie and enjoy a dip in Radium Hot Springs, before ending your journey in Banff via Kootenay National Park. 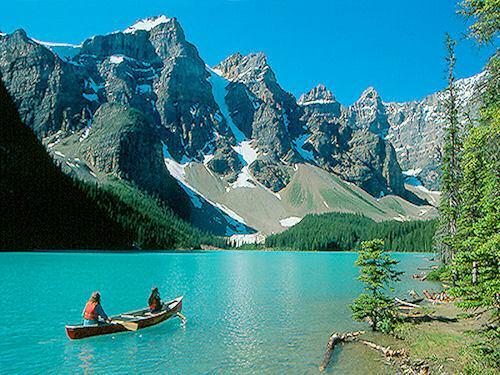 As the gateway to exploring the Canadian Rockies, Banff offers activities and sightseeing for everyone. Enjoy a stroll or traditional canoe ride along the Bow River or a picnic by stunning Lake Minnewanka. 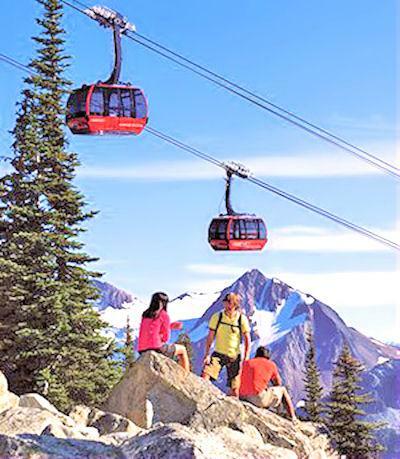 For the more adventurous enjoy a breathtaking hike up Sulphur Mountain, or take the leisurely gondola ride to the top. It's a very short and incredibly scenic drive today from Banff to Lake Louise via the Bow Valley Parkway. This is a wildlife corridor, so don't be suprised if you come across elk, deer, coyotes, bears and bald eagles en route today. Lake Louise needs no introduction, nothing can prepare you for the beauty of this jaw-dropping glacial lake. We suggest a gentle hike, or horse ride in the region for uncrowded and elevated views across Lake Louise. Today is all about the incredible drive along the Icefields Parkway. Take it slowly, you won't want to miss a thing. 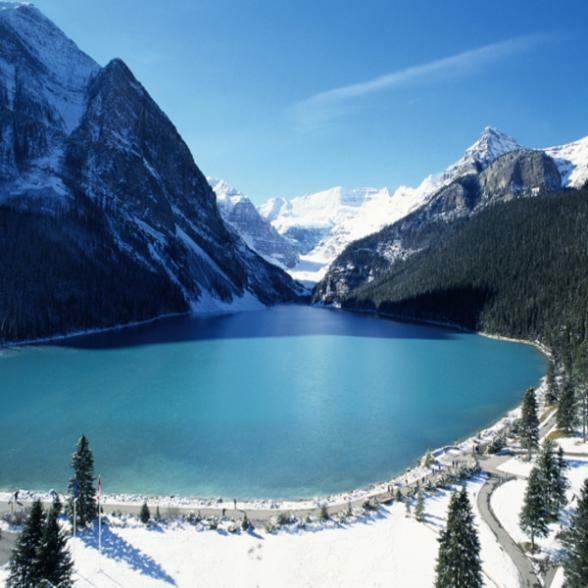 As you cruise along this parkway you'll be surround by the majestic Columbia Icefields. Stop for a picnic at emerald coloured Peyto Lake, or check out the Athabasca Glacier on an Ice Explorer buggy tour. The newly constructed Glacial Skywalk set 280 metres above the valley floor commands amazing views over the area. Your stay for the next two nights is in Jasper. 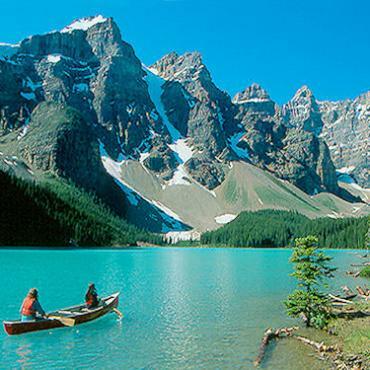 Here, we recommend a tour of stunning Maligne Lake, a horse trek around Pyramid Lake, or a ride on the Jasper Tramway. Yet more scenic driving today as you journey into British Columbia. 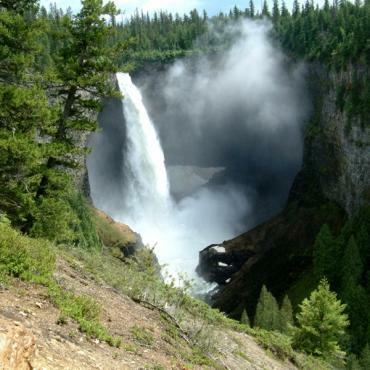 With Wells Gray Provincial Park to your left and the Columbia Mountains to your right, you are going to be treated to yet more magnificent scenery from your seat in your comfortable motorhome. Today you'll cruise through quaint 100 Mile House en route to the gold rush town of Cache Creek. Stop and visit the historic Hat Creek Ranch where you'll be transported back to the days of the great gold rush era. En route to the pretty mountain village of Whistler you'll pass through small town Lillooet in the heart of Gold Rush country. It's time to kick back and relax in the charming alpine resort of Whistler. 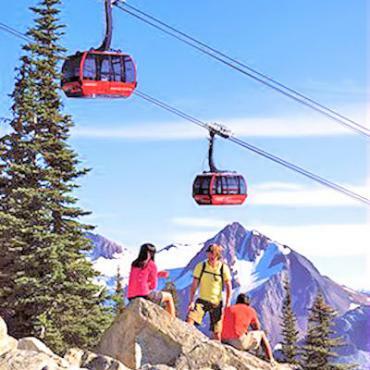 Check out the Peak to Peak gondola ride, enjoy mountain top dining, picnics by the lakes, gentle hikes, or championship golf courses. Whistler offers activities for all tastes. Today, it's time to leave Whistler and cruise along the scenic Sea to the Sky Highway (or in your case the Sky to the Sea HIghway) to Vancouver. This highway offers some of British Columbia's most breathtaking coastal and mountain scenery. Along the way, you can stop at the stunning Shannon Falls near Squamish, the Britannia Mine Museum in Britannia Beach, or the bald eagle nesting grounds in Brackendale. 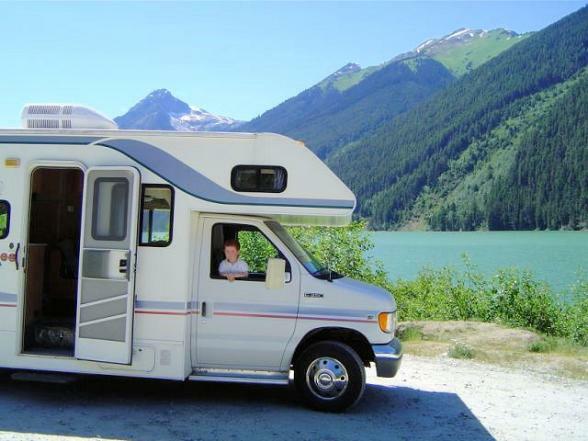 Plan to arrive in Vancouver late afternoon where you'll drop off your motorhome and be transfered to your downtown Vancouver hotel. 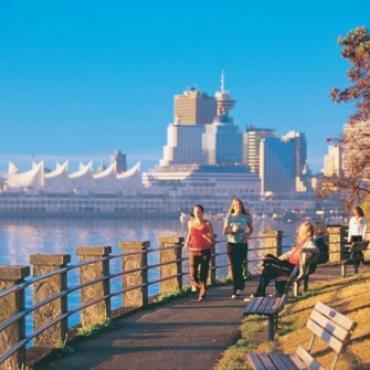 You'll have a whole day in Vancouver to enjoy the sights, if time allows we suggest you end your motorhome holiday with a spot of whale whale watching, it will be a fantastic end to an epic holiday. 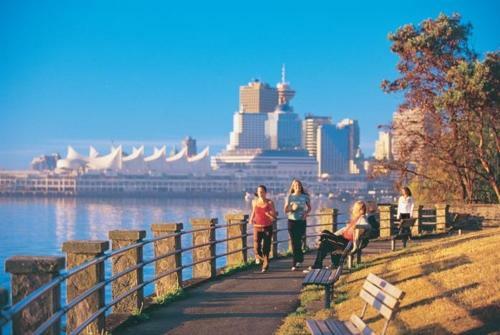 Bon Voyage would be delighted to suggest and pre-book excursions in Vancouver for you. Your adventure doesn't have to end here, however. Perhaps you may want to extend yor stay and spend a few days exploring Vancouver Island or maybe travel along Canada's Sunshine Coast? 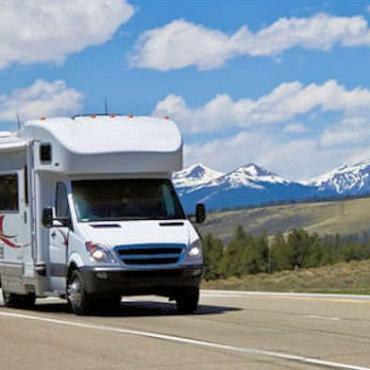 Call the travel specialists at Bon Voyage to discuss your ideal Western Canada - Motorhome Adventure.